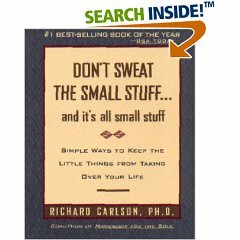 Of course many of the small things that increase our stress will not matter at all in a year and if we can understand that we will reduce our stress levels. He suggests taking a step back when we find ourselves getting angry or upset about something. If we learn to practice patience then it becomes easier not to stress about some of those things whether it be waiting at a red light or standing in a queue, or being interrupted when doing something we regard as important. In those situations recently I have taken his advice and the mere uttering of the word “patience” has the effect of making those little stresses less important.